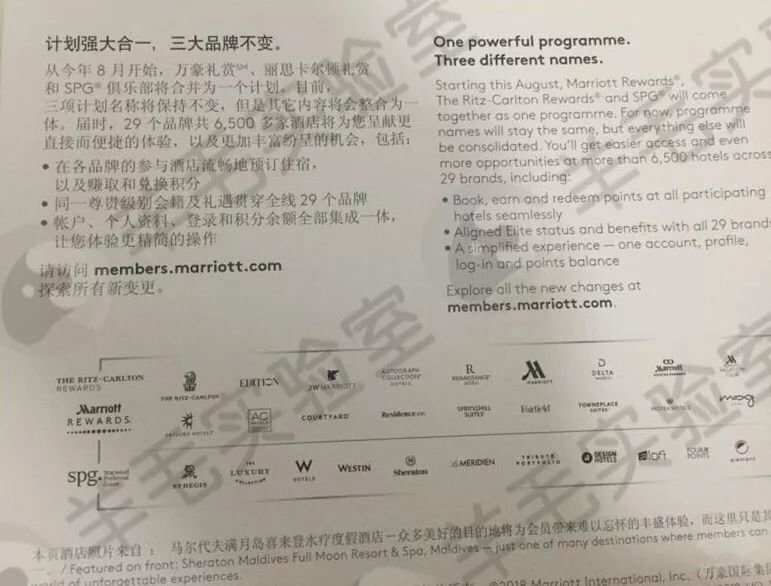 We've all been waiting for more information around the merger of the SPG and Marriott loyalty programmes ever since Marriott acquired Starwood and it's SPG loyalty programme on September 23rd 2016. 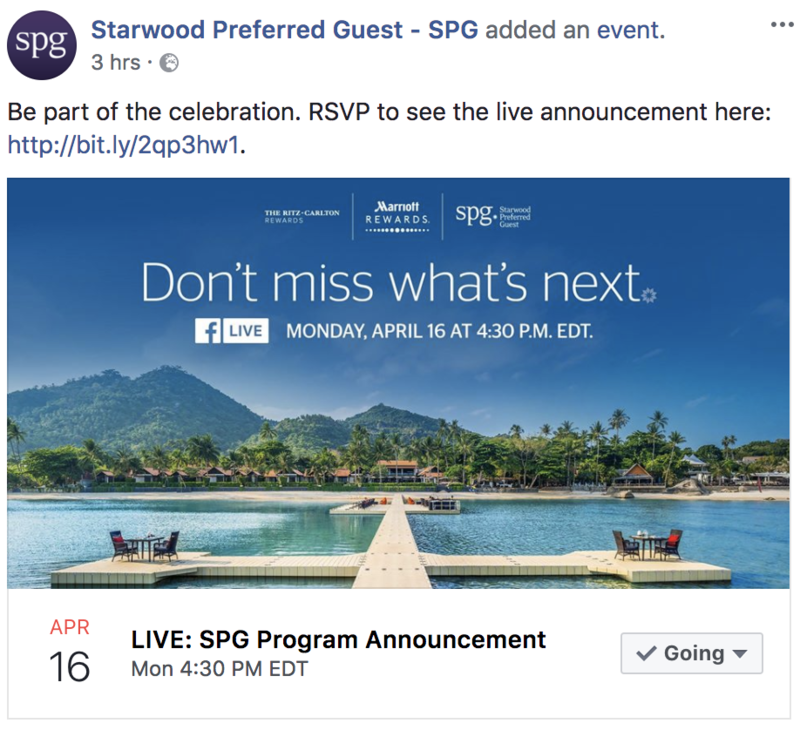 Well, the wait is nearly over as Marriott announced a "SPG Program Announcement" for Monday at 4:30pm EDT. For those of us who didn't want to wait, there have already been several interesting leaks on what we might expect to be announced on Monday. Let's start with the following post on FlyerTalk from what seems to be a well placed source having shared information about combined tiers that would apparently launch in August. 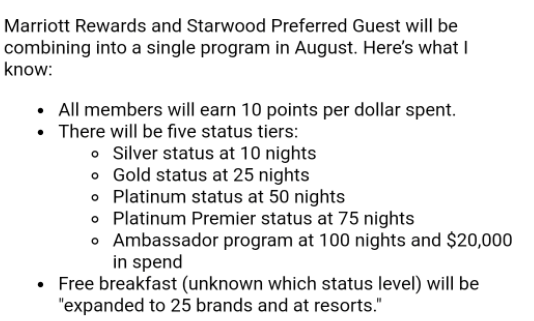 At first glance, it would seem that Marriott is doing away with elite status qualification based on the number of stays, which hahs allowed many people to qualify for SPG Platinum with just 25 stays of potentially 1 night instead of 50 nights. It is also interesting to see that the Ambassador level is now becoming an offical level. Historically, it was just an undefined level that gave you access to a personal Ambassador. Also new is the $20,000 minimum spend in order to qualify for this level. This would require you to stay at least 100 nights with an average spend of $200 per night, which makes it significantly harder to reach. Whatever will happen, we'll know on Monday. There's a lot of pressure on Marriott to do this right.